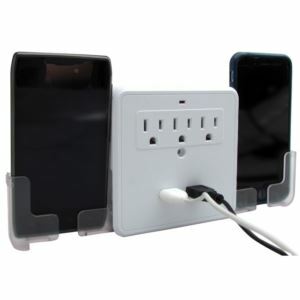 Three AC outlet surge protection with 2 USB charging ports with a total of 2.1 amps. Includes 2 pull-out trays to hold most smart phones. 450 joules suppression rating and is compatible with all USB devices. Wall mount.